Aiwa RC-BVL02 Remote,Aiwa RCBVL02 Remote. Aiwa RC-BVL02 Remote,Aiwa RCBVL02 Remote,Aiwa RC-BVL02 Remote Control,Aiwa RCBVL02 Remote Control. [Aiwa RC-BVL02 Remote,Aiwa RCBVL0] - £21.21 : RemotesOnline247.com, SALE Ends Soon, We Accept Paypal, Sent Tracked!, SALE Ends Soon, We Accept Paypal, Sent Tracked! Home :: *Brand New Remote Controls. :: Aiwa RC-BVL02 Remote,Aiwa RCBVL02 Remote. 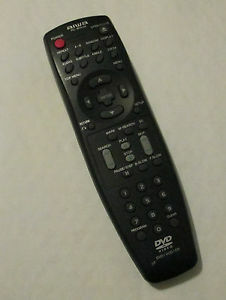 This is the Manufacturer's Original DVD/VCD/CD Remote Control. Notify me of updates to Aiwa RC-BVL02 Remote,Aiwa RCBVL02 Remote.